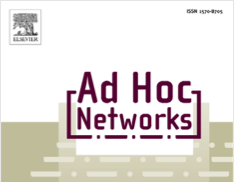 A new paper published in Ad Hoc Networks reports on our investigation of data diffusion on ad hoc networks considering a real-world dynamical network of human proximity obtained with the SocioPatterns sensing platform. In this paper, we propose a new way of measuring delivery times of messages which allows us to deal with non-stationary situations in ad hoc networks and to obtain a robust characterization of data dissemination. This new approach is useful to set constraints for generic processes of data dissemination, as well as to validate established models of human mobility and proximity that are frequently used to simulate realistic behaviors.